Upon first inspection, the question seems like an obvious one: why do rich people sell silver? Well, isn’t it obvious? Silver’s a valuable metal and yields a pretty nice price for the smaller amounts you’ll have to sell. Unfortunately, this is just one way of looking at it. After all, if silver is valuable, and will continue to improve its value as a precious metal commodity, won’t it eventually grow even more and more valuable? This is an especially apt point considering the current state of economic affairs. Many people think that silver and gold are the best currencies to work with, and if a local currency loses its value or even collapses, it makes more sense to have your money in a commodity like gold or silver than in a currency. But we know that rich people do sell silver. And they buy it, too. So we’ll have to look at the reasons rich people – people with extraordinary financial means who can buy larger quantities of silver than most of us – would actually want to get silver off of their hands. Capitalizing on an investment. For many rich people – with extra money to invest in the markets and commodities – silver is just an investment, not an actual object to own. Because of this, selling silver would feel like selling a stock – you try to buy low, sell high, and turn a profit when you can. There’s no reason silver should be any different. When a rich person with an exceptional amount of money in the silver commodity market decides that they think they’ve hit their peak, they might sell their silver shares. They might also do so when they think they need to cut their losses, or when they think the opportunity is ripe to break even. Silver makes them rich. One reason close to the chicken-and-the-egg argument is that selling silver can actually make people rich. Consider the silver rush in the mid-1800s, when people migrated to the West much like in the gold rush, searching for a way to make their fortune. For many people, selling silver is what indeed makes them so rich in the first place, and it doesn’t necessarily have to be because they discovered a mine. Plenty of people make money from extracting, smelting, and selling silver – otherwise there would be no incentive to actually go out there and get the silver. Not only do people make livings from it, but some rich people get involved with the companies themselves and “sell silver” for a living. It’s scrap and they don’t need it. One thing many rich people are is this: wise with their money. They know that scrap sitting around does them no good when it can be sold and exchanged for more opportunities out there. Scrap silver, especially from a particularly large collection of jewelry, can be sold back into the market or even to metal brokers directly so that the silver can be re-melted down. Other rich people might simply have someone who’s willing to take their silver off of their hands for a small sum, but at least it gets the silver off of their hands. Commodity – or currency – exchange. Another reason rich people sell silver – and another way to make money – is simply to use silver as an investment that can be exchanged for a profit. Consider this. You might buy a heap of silver for dollars. The price of silver stays the same, but the value of the dollar goes up. 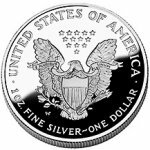 If you sell your silver back into dollars – the same amount (because silver didn’t decline or grow in dollar value) – you’ve actually made a nice little profit for yourself. Other currencies and commodities could be involved in this type of exchange, and there are rich people out there who are savvy enough to recognize how to do it. Ultimately, there are plenty of reasons for people to sell silver, and it doesn’t just rest on rich people to sell it. If you have scrap silver waiting around, know that there are plenty of ways for you to sell it. You could take jewelry in good condition to a jeweler, or old and broken jewelry to an online metal broker. Heck, you could take all of your silver to an online metal broker in order to get as much as you can in one swoop. Continue to learn about the online metal brokering process to see how easy it is for you to sell your scrap silver, like rich people do.